“Working at a children’s museum affords me opportunities for experiences that range from humorous to heartwarming and from imaginative to inspiring. Among the most special is the experience of seeing families enjoying our exhibits and educational programs through the eyes of multiple generations. There’s nothing quite like seeing a grandpa in a fire fighter’s costume while his granddaughter drives our firetruck or watching a grandmother build a robot with her grandchildren in our Imagination Playground. In these moments, there is no doubt that there is a child in all of us. We often say that Great Ex aims to be a place where ALL families come to learn and play. 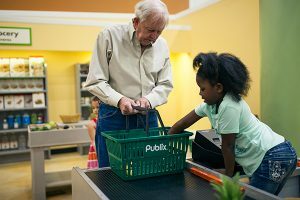 To that end, we engage with community partners throughout the Tampa Bay area to learn about issues affecting families and create ways of addressing those issues and meeting the needs of area families. 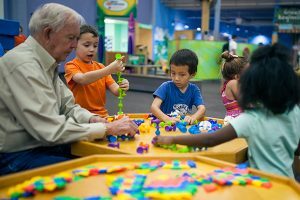 Diane Eatwood features The Children’s Museum of New Hampshire and explains why children’s museums work so well as sites for memory groups here. The Brain Dames brought enthusiasm and expertise to the project and together we looked at the resources currently being offered and the research about interventions like music, art, humor, nature and nutrition. Our vision was for an easy-access social opportunity that will enrich and empower participants through creative, research-backed, non-clinical programming. And thus Memory Mondays was born. Since then, the project has garnered support from arts organizations, home health agencies and local, state and national groups that support adults with memory loss. 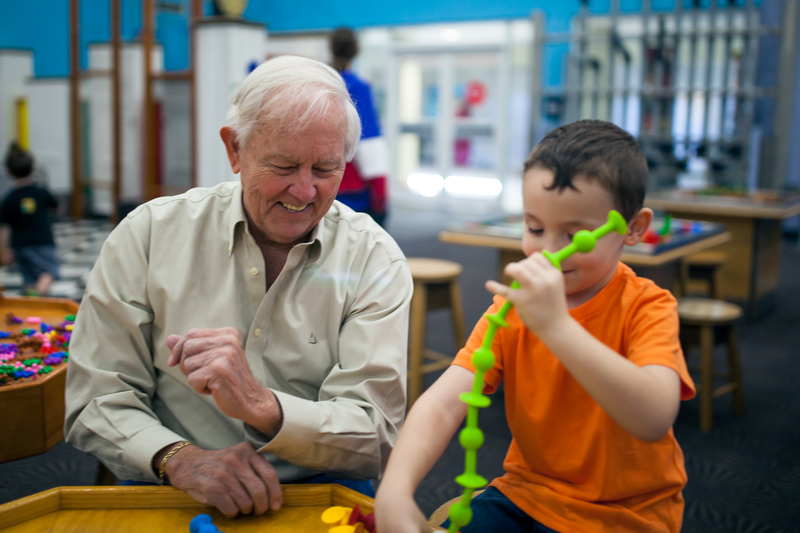 Memory Mondays will take place the 1st Monday of the month from 10am-12pm at Great Explorations Children’s Museum at 1925 4th St. North in St. Petersburg. For more information, contact Lael Arango, Director of Community Initiatives , check out our website or like Great Explorations on Facebook.